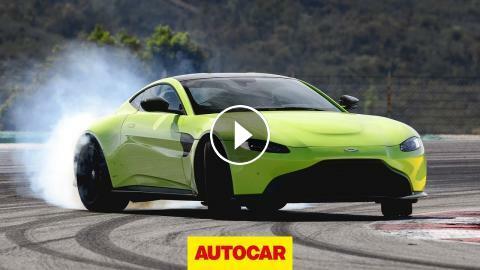 If that, plus the 50:50 weight distribution, sounds like a pretty sweet handling set-up, you should see how the Vantage smokes its tyres around the Portimao race circuit. But it's a roadgoing sports car, too, so we've tested it thoroughly on decent roads as well as on track. Plus we take a look deep under its skin, in the most in-depth Vantage video online. Aston wants it to be better than a Porsche 911? Can it manage that seemingly implausible feat?